Credit: image courtesy of Martin, Flickr Creative Commons. Will a honeycomb-like material made of carbon be able to break open the market for capturing carbon emissions from power plants? A Canadian startup called Inventys is now working on a demonstration project using this new technology and they just lined up a series B round from Chevron, and others to move the technology closer to market. CEO Andre Boulet tells us the technology will be cheaper and less energy-intensive than rivals’. Used at the end of the combustion process at coal and natural gas power plants, the activated carbon, acting as an adsorbent, forms the walls of the honeycomb structure to grab carbon dioxide as it flows through the power plant flue. Founded in 2007, Inventys also counts former U.S. Energy Secretary Steve Chu as a board director. The funding from Chevron underscores an emerging interest by companies in commercializing new carbon capture technologies. One of the reasons companies are starting to pay closer attention to this tech is that the U.S. Environmental Protection Agency has proposed regulations that power plants owners will have to cut their carbon dioxide emissions in the future. If implemented, the regulation could create a boon for carbon capture tech. Power generation accounts for 38 percent of the carbon dioxide emissions in the U.S., the largest source in the country, says the EPA. Carbon dioxide makes up the majority of the greenhouse gas emissions that are contributing to climate change. There’s another reason why carbon capture tech is becoming more attractive: oil production companies are realizing they can use carbon, injected down into deep underground wells, to pry loose crude in hard-to-reach places. And yes, the irony isn’t lost on these folks that the oil industry will be benefiting from power plant emissions, at the same time that it’s the second largest contributor of carbon dioxide emissions in the U.S. But turning the carbon emissions into something that can be sold, makes the technology more economic and feasible. Inventys isn’t the only company selling captured carbon to oil companies. 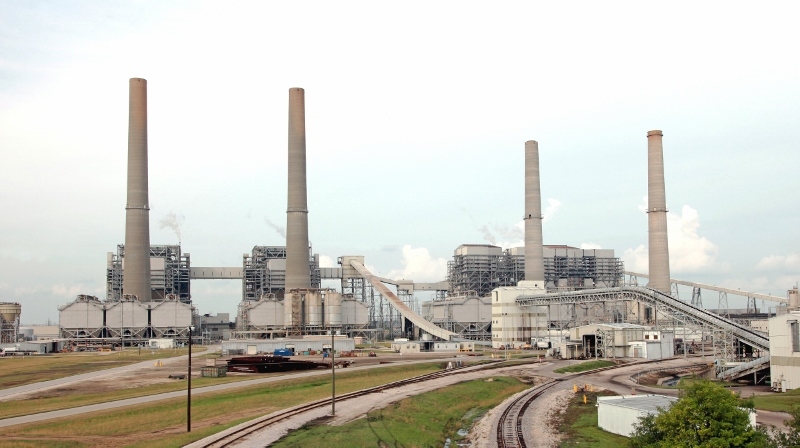 NRG Energy announced earlier this month that it’s started working on a $1 billion project to add carbon capture equipment to a coal fire power plant it owns in Texas. NRG not only teamed up with a group of Japanese technology developers and investors for the project, it also bought a stake in an oil field that will use the carbon. Inventys’ technology is very different from what NRG is using. NRG picked a technology that relies on solvents to bind carbon dioxide and then release it later to prep it for shipment to the oil field. Inventys’s process uses a solid material made primarily of activated carbon to capture and then de-couple the carbon emissions. The startup designed the material to look like a honeycomb, and activated carbon makes up the walls of the honeycomb. Boulet declined to give more detail about the activated carbon that is being used. Types of activated carbon include charcoal, which can be used to purify water, or to pump into a person’s stomach to remove poisons. Inventys’s process relies on a difference in temperature to grab the carbon dioxide at a lower temperature and releases it at a higher temperature. The benefit of activated carbon is its ultra low cost, Boulet tells us. In addition the bond between the activated carbon and carbon dioxide is weaker and therefore requires less energy to release it, he added. In contrast, the competing solvent system creates a strong chemical bond that needs a lot of energy to remove that bond, said Boulet. Energy intensity is a big issue for capturing carbon because power is needed to run the equipment. That energy demand means a power plant owner will have to use some of the electricity produced instead of selling it to make money. The energy use also creates its own carbon footprint. NRG’s solution is to install a 75-megawatt gas turbine at the site, and they plan on using 45 megawatts of it to run the 240-MW carbon capture project. Boulet estimated that Inventys’s process would need only half of that much to run a project of same size. Inventys plans to build and own carbon capture plants. Boulet expects power plant owners will likely give away the carbon dioxide for free or pay Inventys to take the carbon emissions. With the EPA’s power plant carbon regulations in place, power plant owners could face fines if they don’t get rid of it. Inventys is working with Husky Energy, an oil and gas producer in Calgary, for its first pilot project. Its new investor, Chevron, will likely want to give the startup’s technology a whirl. The main market for Inventys will be the U.S. The Series B round that Inventys just closed will allow it to run pilot projects in the next year or two to demonstrate that it can works efficiently at a larger scale than what it’s been able to show with equipment at its headquarters in Vancouver. The lab equipment can process 2 tons of carbon dioxide per day. 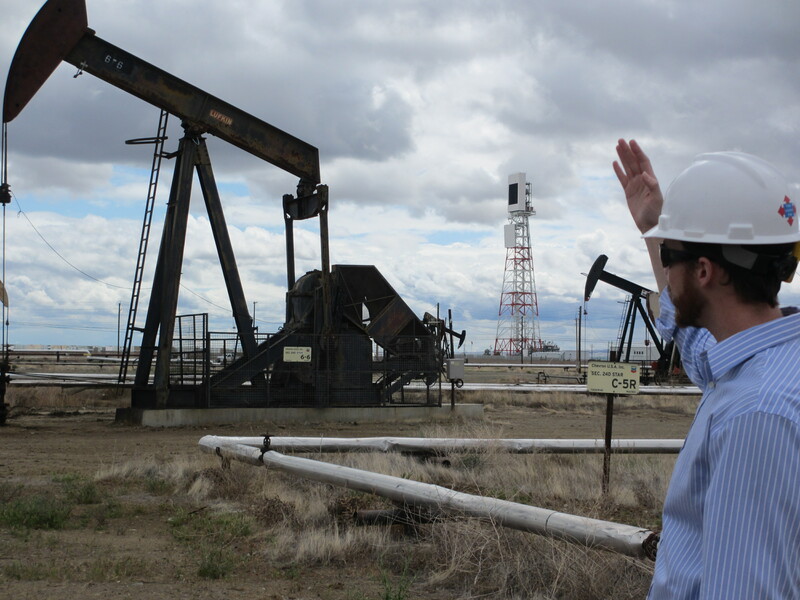 An oil field will likely want thousands of tons of carbon dioxide per day, Boulet said. The company also is looking at selling the carbon dioxide to chemical companies, such as fertilizer makers. In addition to Chevron, the startup’s other investors include Mitsui Global Investment (MGI), The Roda Group and Chrysalix Energy Venture Capital.